Reviews for MGM Dream Homes Ltd. Thank you for your positive feedback, we really appreciate it. Enjoy your new kitchen. The service that MGM provided was amazing. Always on time for onsite visits. Overall very satisfied with work completed. Thank you so much Rahim for the positive feedback. Our overall experience with MGM was more than satisfactory. They removed the exisiting garage slab for our 3 car garage, levelled and repoured. Mina was very easy to work with and met with all our questions and concerns. We highly recommend MGM for any type of concrete work you need done to your home. Thanks again MGM. Thank you Norma for the positive review.. In total, there were 5 bedrooms, 3 bathrooms, a large two-car garage and a sunroom included in the work. From the beginning, things went very well - the price was much better than two other firms who quoted, and Mina was far more detail-oriented and attentive about the work to be done than the other two as well. The hiccups that occurred along the way (both large and small) were also well-handled - during framing of the new second floor, we realized that the designer had forgotten to include headroom over the stairs to the new level and the clearance at the top of the stairs was going to be less than 3 feet as a result. Given that the roof trusses for the house had already been fabricated and were sitting on our lawn at the time, changing the roof design was not an option without incurring a huge delay (and cost) - Mina offered to get us in touch with another designer if we weren't able to get immediate resolution from our initial designer, and we came up with a solution that involved rearranging the starting placement of the roof trusses and raising the walls on the lower portion of the house from 8 feet to 10 feet to bring the stair clearance up to an acceptable level. The total delay incurred was less than a week, which was fantastic given the nature of the error and the potential delay which could have occurred. Mina works with a large collection of people, and our experience with all of them was good - the demolition and foundation team were very precise (including smoothing out and gently sloping the garage floor so water drained from all locations out the garage doors), the framing team was efficient while also offering suggestions for how to make the structure more solid and avoid future issues, the roofing/exterior team did an excellent job and were able to get the shingles on much faster than expected, which prevented us from getting a ton of water into the open part of the house during a large rainstorm in June, the masonry team was similarly efficient and precise, the electrical and plumbing teams both offered good suggestions and took extra care to ensure ample breaker distribution and water pressure respectively, and the tiling, painting and hardwood teams also all showed similar care, precision, quality of workmanship and attention to detail. Given how many people I've spoken with that experienced delays and overruns and problems and etc on their renovation projects, I definitely consider myself very lucky to have found MGM who wrapped up work on-time and on-budget - Mina and I were in very regular communication throughout the project (often several times a day via text messages), and I really felt like the whole project was done according to my wishes and expectations. If you're looking for someone to work with, MGM has my full recommendation, and I'm planning to work with them again when we renovate the remaining portion of the house. Thank you Ryan. It was also a pleasure working with you. More about MGM Dream Homes Ltd.
Professional construction company that specializes in new homes, new additions, and concrete work. We do foundation walls, slabs, columns, and porchs. All work is guaranteed. Contact us for a free no obligation quote. We have all heard the horror stories about construction projects. Therefore we came up with our own budget guarantee system. Our unique budget guarantee system means that once we start on your project we will never increase our price. Our clients get to enjoy peace of mind knowing their budget will never increase during the process and there will never be any additional hidden costs. MGM Dream Homes LTD was incorporated in 2013 and we have been successfully completing small to medium size projects since then. From custom built homes, to complex foundation and concrete structures. 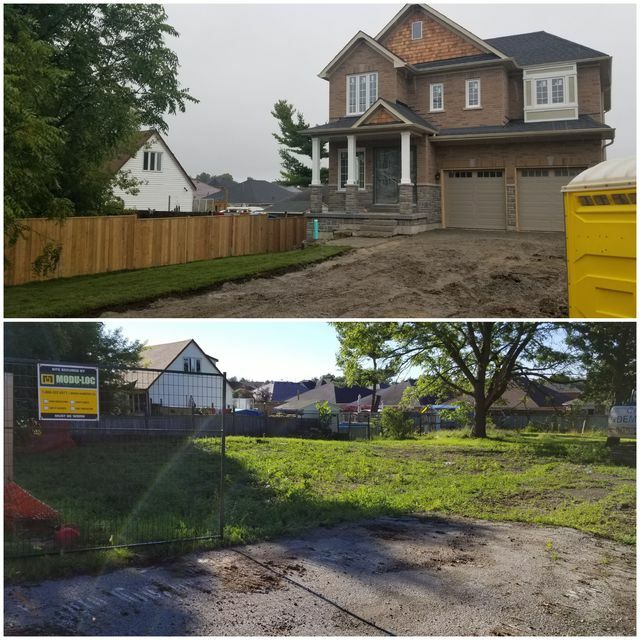 Our focus is to keep developing unique parcels of land for our custom home buyers while servicing home owners and builders with all their concrete needs as well. This includes Foundations, garages, slabs, and sidewalks. Your project will be handled professionally from the start to finish. Our full time staff will be available throughout the building process to answer any questions you may have. Service Areas: Pickering, Ajax, Whitby, Oshawa, Courtice, Bowmanville, Newcastle. Our clients have the peace of mind of knowing they are dealing with reputable and financially strong company that has the resources to complete the project.